Is Your Campus Focused on Sustainability? Having a hard time finding recycling bins on campus? Looking for a smarter way to get rid of food waste? If you’d like to see your school go green, you can make more of an impact than you might think. From community service opportunities to campus recycling programs, there are plenty of ways your college can promote sustainability on campus. To get students thinking green, The Association for the Advancement of Sustainability in Higher Education holds Campus Sustainability Month every year. From campus recycling to more out-of-the-box sustainability projects, we rounded up a few green ideas for your college to limit its environmental impact. What Is Campus Sustainability Month? October 1st marks the start of Campus Sustainability Month, a period dedicated to encouraging sustainable practices on campus and engaging students in topics that range from renewable energy to recycling. "Hundreds of higher education institutions celebrate Campus Sustainability Month to inspire students to get involved with sustainability efforts on campus. Each institution decides for itself how it wants to participate, but celebrations typically include a variety of educational events and service projects. This year, many celebrations will include a focus on civic engagement and participation in the November elections." The first step toward college campus sustainability is to make recycling as easy as possible. A great example of this is Bowling Green State University’s single-stream recycling initiative. Every trash bin on campus is paired with a recycling bin for students to toss plastic bottles, paper, glass, cans and cardboard into without having to sort it all out beforehand. Using this system, the university hopes to achieve a 50 percent waste diversion rate. Contact local recyclers and determine what types of materials you can drop off with them. Work with your school’s facilities department to find spare bins and make sure they are clearly labeled with accepted materials. Place the bins in highly trafficked parts of your campus. Designate a team of volunteers to collect the recyclables every week, making sure to weigh each bag so you can demonstrate how effective your program is. College campuses are swimming in broken and outdated electronics. That’s why setting up an e-waste collection event is a great idea for promoting campus sustainability. Get permission from your facilities department to set up collection bins in an on-campus parking lot. Contact local recycling businesses and vendors to see what kinds of electronics they accept and make sure they are willing to accept bulk drop-offs. Check to see if there are any additional fees for recycling certain items. Reach out to your university and local businesses to sponsor the recycling drive. Use social media to spread the word about your event and include a list of accepted electronics. 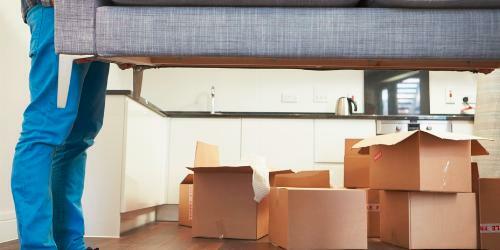 When the time comes to move out of the dorms, college students have a lot of clutter to sort through. From extra food in the cupboards to the sweaters you didn’t wear all semester, your college can save these items from the landfill and send them to those in need. The University of Southern Mississippi holds Move Out and Move In Madness events to help charities in the area. Biking to and from campus can have as little as one-seventh the impact as driving a car. Starting a bike share program can make it easier for students to ditch their cars for the semester. Approach your school’s administration to see if they will cover the cost of bikes, locks, racks and maintenance. Promote exercise and healthy living. Reduce vehicle emissions around campus. 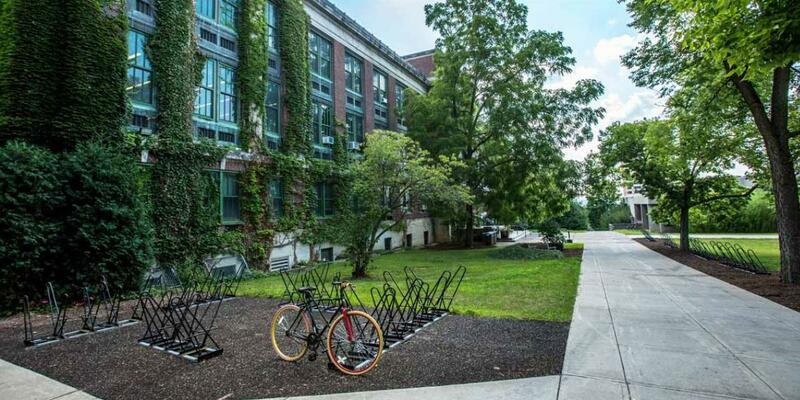 Fund additional campus sustainability initiatives with bike rental fees. Encourage those who wouldn’t normally ride a bike to start using greener transportation. The best way for students to learn about sustainability is to mingle with like-minded individuals. Research upcoming sustainability events and organize a trip. For example, The University of Cincinnati funds a trip to a student-formed summit where participants can learn about new sustainability initiatives and bring them back to campus. A fair is a great way to introduce concepts such as energy efficiency and sustainable living to a broad audience. Invite both on and off campus sustainability advocates to come and show fair-goers what they can do to reduce waste, save energy and minimize their impact on the environment. The Green Energy Ohio Tour is one of the highlights of Kent State University’s campus sustainability programming. This one-day event offers students the opportunity to take self-guided tours of the school’s solar array and LEED certified buildings around campus. These tours offer a hands-on learning experience for students interested in sustainable architecture and renewable energy. If your campus is home to a renewable energy plant or sustainable building, consider setting up a tour with yourself as the guide. If there’s a solar installation or wind farm in your city, contact the owner and see if they will give you a tour of the grounds. Seeing sustainability initiatives hands-on is a great way to learn about the possibilities and bring ideas back to your campus to start planning your own green projects. Sometimes, creating a green campus means getting your hands dirty. At The University of Houston, students participate in a community garden where they grow organic produce and educate campus and community members about healthy living. All of their produce is donated to local food pantries to give low-income individuals access to fresh vegetables. In addition to donating food, your school could even harvest your crops for farm-to-table dining on campus. From cafeterias to the university coffee shop, food waste piles up fast. Composting is a great way to minimize the amount of food your school sends to the landfill. Cleveland State University composts in their dining hall and even uses biodegradable tableware. Establish goals to motivate your school and push towards eco-friendly practices beyond what’s planned for Campus Sustainability Month. Take this ambitious initiative by the University of Southern Mississippi: “Our goal is to work with the campus community to achieve carbon neutrality by 2050,” said Melissa Olsen, the university’s sustainability coordinator. In 2008, USM signed on to the American College & University Presidents’ Climate Commitment, a pledge between schools that have agreed to neutralize their greenhouse gas emissions and foster research and educational efforts to combat climate change. Is Your Campus Going Green? Campus Sustainability Month is about making a difference and engaging in green living initiatives. These are just a handful of examples to help you get started. If you’re looking to take your environmental efforts a step further, neighborhood cleanups are a great way to get students outside and positively impact the community. For example, The University of Cincinnati’s Clean Up Cincy program brings student volunteers together each semester to beautify the neighborhood with projects like building community gardens, clearing overgrown lots and cleaning riverfronts. To see how other schools are celebrating this month, check out #CampusSustainabilityMonth on Twitter or visit The Association for the Advancement of Sustainability in Higher Education’s website. For more ways to incorporate green living into your daily life, visit the Sustainability section of our blog. The U.S. produces about 251 million tons of waste each year. 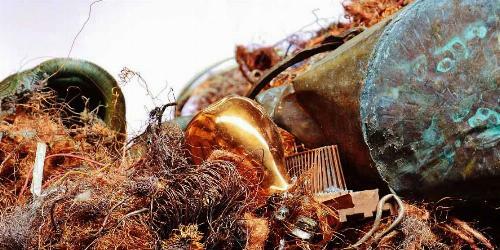 Most of that waste is held in the 3,091 active landfills across the country, where items will take hundreds of years (or in the case of glass, upwards of a million) to decompose. Yet nearly 94 percent of Americans have access to some type of recycling program. Learn what is recyclable and how to recycle properly.